My daughter will be a freshman in high school next year and, today, brought home her registration packet. Actually, to be more accurate, she brought home a small novel. In fact, I didn't look at the whole book yet because it looks awfully intimidating. And, to be honest, I am simply stunned by how much they are asking for her already. I mean, she's only 13 years old. 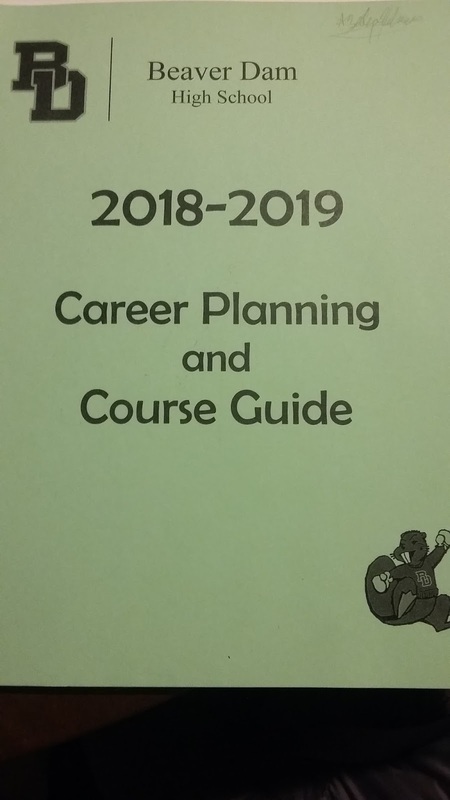 The packet itself says it all - Career Planning and Course Guide. In addition to picking out classes for her freshman year, she needs to pick a career path and plan out all four years accordingly. Keep in mind, this is before she even sets foot in the school. Granted, she is allowed to change her mind later. But, is it really necessary to push her to pick a career so early? Kids have enough pressure as it is. Let them grow up before making them decide what they want to do for the rest of their lives.